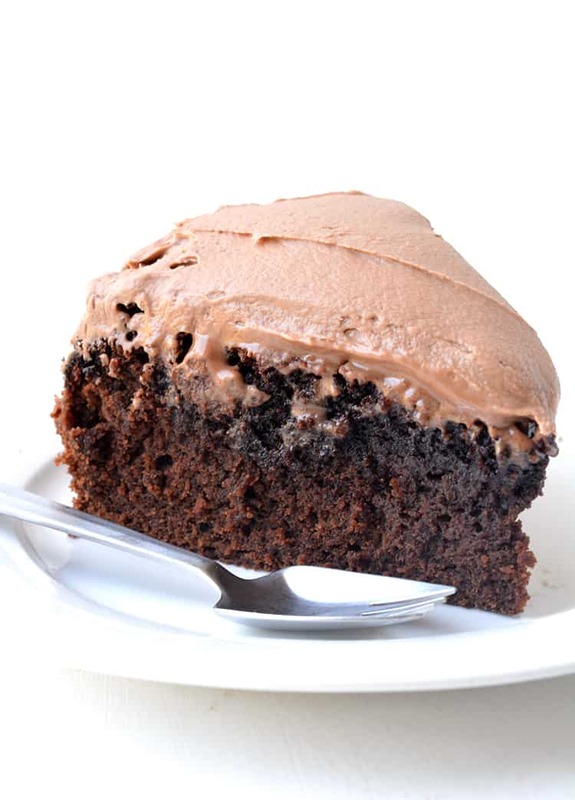 This is the BEST Chocolate Mud Cake recipe. 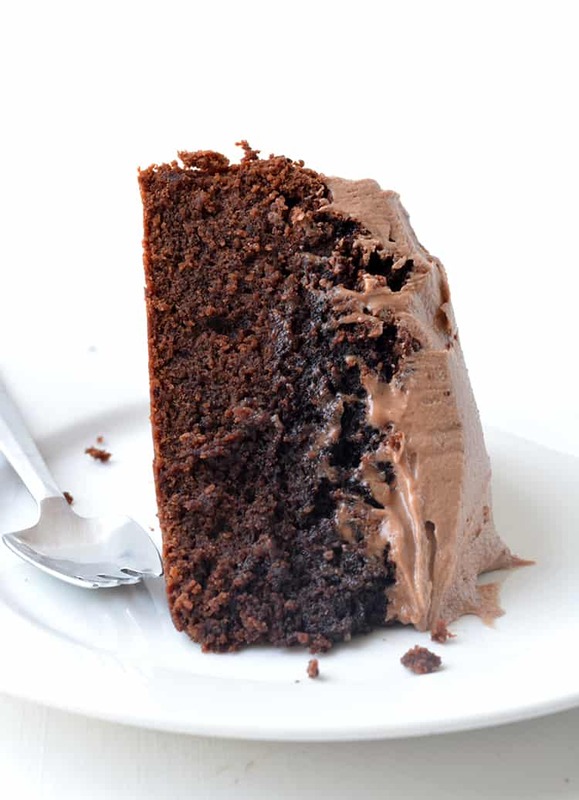 Perfectly moist with plenty of chocolate flavour, it’s a super easy cake to make and the milk chocolate frosting just puts it over-the-top. 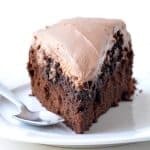 If you’re on the hunt for a deliciously rich chocolate mud cake with a fudgy chocolate-laden centre and a creamy milk chocolate frosting, I’ve got you covered. This is the chocolate cake of your dreams. I love chocolate cake. ❤️ And this year has been the year of chocolate cake for me. 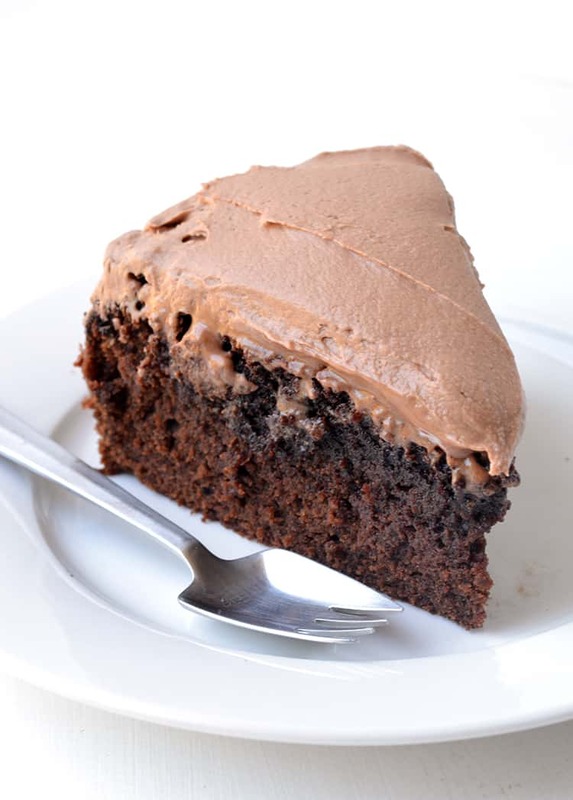 First I shared with you my recipe for a deliciously easy Dairy Free Chocolate Cake. Next came my all-time favourite Flourless Chocolate Cake. Just last month, I shared with you my Chocolate Buttermilk Cake and now we’re moving on to deliciously rich Chocolate Mud Cake. It took quite a bit of testing to get this cake just right, but I’m so happy with the result. This cake has just the right amount of cake and just the right amount of fudge. While I love a soft and fluffy chocolate cake, I wanted this one to be different. I wanted a crumb that sticks to your fork. I wanted a cake that had almost a brownie-like texture in parts, but I didn’t want a brownie and I didn’t want a regular chocolate cake. I wanted something special. And I found it. 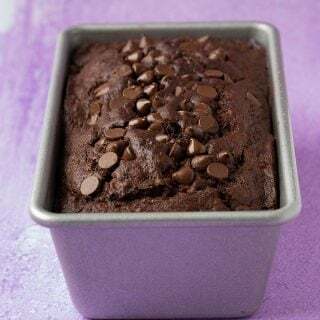 With real dark chocolate and cocoa powder in the cake batter, this cake is laden with chocolate flavour. 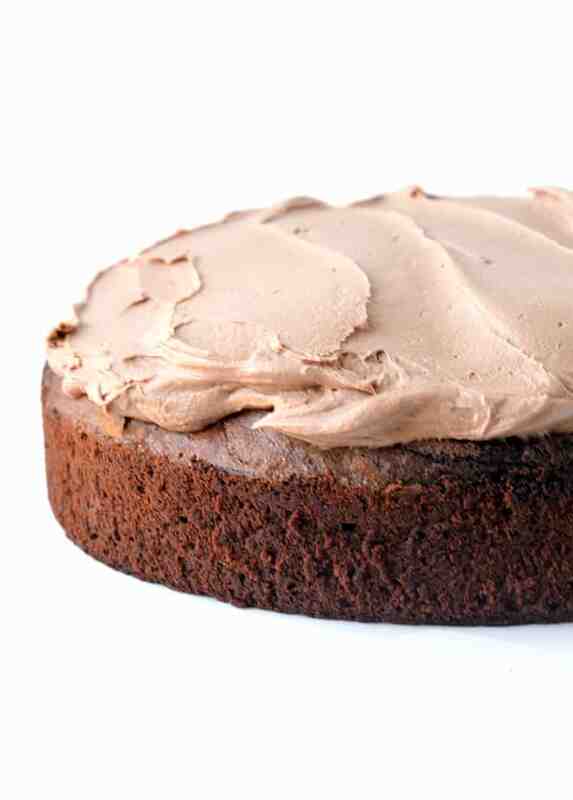 To complement the rich fudgy centre, I added a smooth and creamy milk chocolate frosting made with real chocolate. If you have a choco-holic in your family, you need to try this cake. 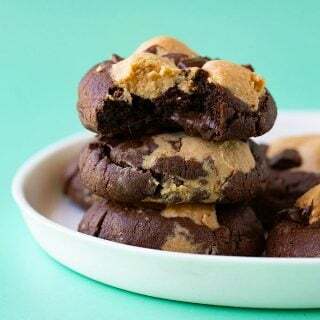 Not only is it delicious, but it’s very easy to make. The cake comes together with a bowl and spoon – you don’t even need an electric mixer. 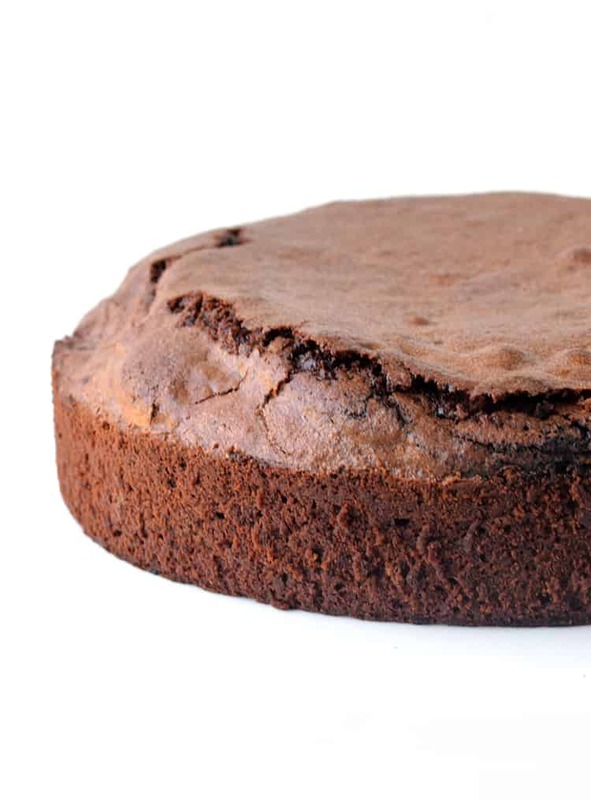 My only advice for that perfectly dense and fudgy centre is to make sure you don’t overcook the cake. The more it cooks, the less fudgy it will become. My Chocolate Mud Cake takes about 55 minutes to 1 hour to cook, but I recommend checking your cake from about 50 minutes onwards. 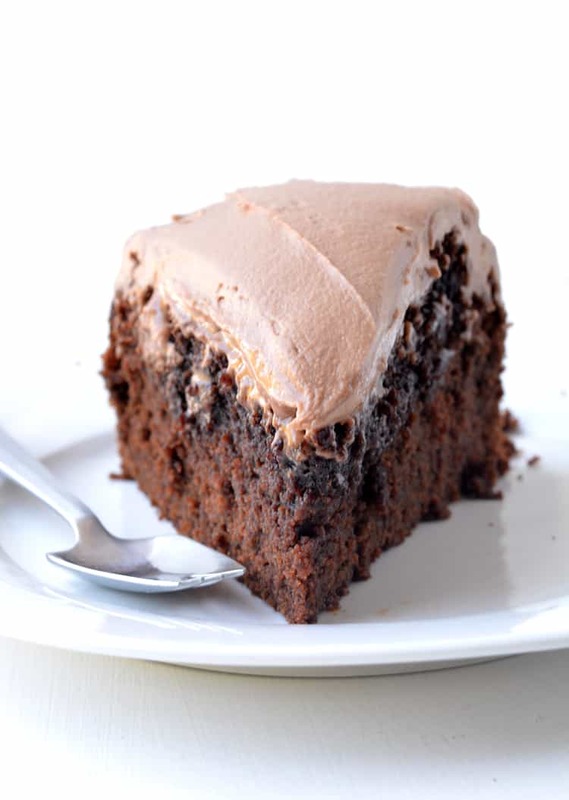 Deliciously fudgy chocolate mud cake topped with milk chocolate frosting. Preheat the oven to 150 C (300 F). Grease and line a 9 inch round springform cake tin with baking or parchment paper. In a microwave-safe bowl, add butter and dark chocolate. Melt in the microwave, stirring every 30 seconds, until smooth. Leave to cool slightly – just a minute or two. Add sugars to chocolate mixture and stir. Add eggs. Mix to combine. Add cocoa powder, flour and baking soda and mix gently. Add milk and vanilla. Stir until chocolate batter is combined and smooth. It will be quite thick – this is ok.
Pour cake batter into prepared cake tin. Bake for approximately 50-60 minutes or until cake no longer wobbles in the middle. Try not to over bake as you want the cake to be moist in the middle. Leave to cool completely in the cake tin. Add half the sugar, cocoa powder and one tablespoon of milk and beat until combined. Add the remaining sugar and beat until smooth. Add melted chocolate, ensuring the chocolate is still smooth and melted but is not warm. Beat until the chocolate is completely mixed through. If frosting is too thick, add an extra tablespoon of milk. Generously frost the top of the cake using a spatula. This cake is quite possibly even nicer the day after it’s made as it tends to go even fudgy-ier. Made this for a birthday dinner last night. It’s delicious, but I couldn’t get it to set in the middle. I baked it over 1 hour and 20 minutes and it still sunk in the middle as it cooled. Not sure what went wrong. This is the cake recipe I have been looking for! It is simply amazing. I didn’t wait for the cake to cool down, so the frosting was a little Meltie but that made it even better! I need to invite the neighbors over so I don’t eat it all. Hi Courtney, sorry to hear that. I bake and test all my recipes using an electric oven so I can’t confirm the results from a gas oven. That being said, gas ovens tend to offer a more humid environment (and every oven is different) so it could be the case that your cake needed a little longer in the oven. 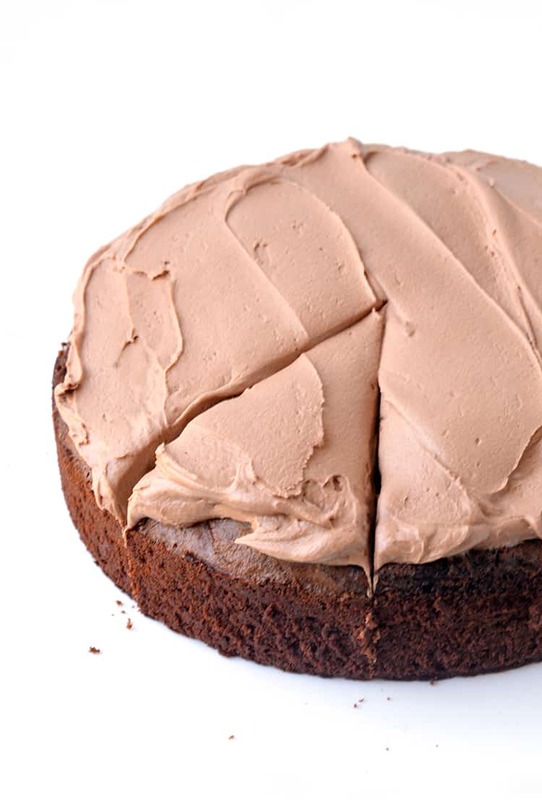 This recipe should produce a moist cake, particularly in the centre, (as per the photo) but it shouldn’t be wet. A skewer inserted in the centre of the cake should still come out clean once cooked. I hope that helps! What size tin did you use? Hi Steph, I used a 9 inch springform cake tin. Hi Allyson, I haven’t tried doubling this recipe myself so I can’t say for sure! Thank you for the amazing recipe!!! I do have one question 🙂 is it better to store the cake in the fridge or can I store it out on the counter? I baked the cake yesterday, sunk a bit in the middle but am hopefully it is the perfect amount of gooey! Making the frosting this morning, I don’t see where you incorporate the tablespoon of cocoa to the frosting, assume with the sugar? 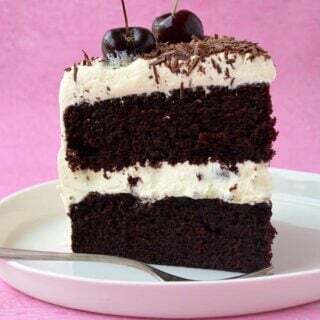 WOW this cake looks so chocolatey and delicious! I love the luscious cream topping!